It is not law yet, but we can now be 100% sure it will be very soon. Even before the bill was passed by the Senate, every single speaker at the Healthcare Distribution Management Association (HDMA) Track and Trace Seminar, held in Crystal City, VA on November 11-13, 2013 spoke from the perspective that the DQSA becoming law was inevitable…and soon. Even Virginia Herold, Executive Officer of the California State Board of Pharmacy spoke that way. U.S. wholesale distributors have faced state pedigree laws since 2003 when Florida became the first state to enact one. Within a few years nearly 30 states had either enacted a drug pedigree law or had one in the works, including California. All of these required wholesale distributors to take certain actions to meet their law and all were a little bit different from the other. Only the California law was so bold as to impose mandates on drug manufacturers, including the most costly mandate of all: unit-level serialization. All of these laws will evaporate the instant President Obama signs the DQSA of 2013, but because drug wholesalers and manufacturers have deployed systems to meet these laws, the question arises, how much of the functionality of those systems can be reused to meet the initial phase requirements of the DQSA? The first phase of the DQSA track & trace requirements begins on January 1, 2015, about 13 months from now. They include the need for all U.S. pharmaceutical supply chain trading partners, in most instances (see the text of the law for exceptions), to pass transaction information, transaction history and transaction statements from seller to buyer. Let’s call the collection of these three types of information “transX” for short. By the way, because of the way the law is written, most manufacturers will probably never need to pass a transaction history (unless they are acting as a wholesale distributor, see “Working With CMOs Under California ePedgiree”). From January 1, 2015 until late November 2017 (4 years after the law’s enactment) the transX information can be sent in either paper or electronic form. After late November 2017 manufacturers must transmit this information electronically, but how should the data be formatted? 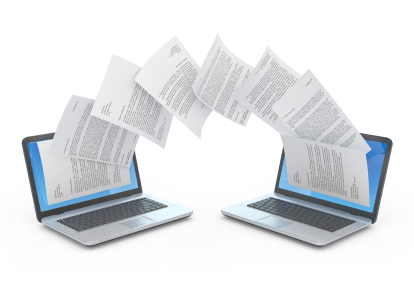 The law does not specify a format, but it does require the FDA to develop standards for the interoperable exchange of lot-level transX information in paper or electronic format. The FDA must first collect comments and information from stakeholders and consult with “…other appropriate Federal officials, manufacturers, repackagers, wholesale distributors, dispensers and other pharmaceutical distribution supply chain stakeholders…” before publishing draft guidance. The standards they eventually publish are intended to be used by the industry for the entire first phase. That runs until 10 years after enactment—late November 2023. The standards they establish this time must take into consideration the standards the agency was required to establish under the FDA Amendments Act of 2007 (FDAAA) section 505(D) and they must “…comply with a form and format developed by a widely recognized international standards development organization”. The only standard the FDA actually established as the result of the FDAAA of 2007 section 505(D) is the Standardized Numeric Identifier guidance which they published in 2010 (see “FDA Aligns with GS1 SGTIN For SNDC”). But the SNI guidance would only apply to the format of the serial numbers that manufacturers will be required to put on their products by the end of November 2017, not the format of the exchange of transX information which won’t need to carry serial numbers until late 2023. As I pointed out in my essay “The Flaw That Must Be Addressed in H.R. 3204, The Drug Quality and Security Act”, the FDA has one year to publish the standards that the industry would need to begin using about one month later. How will that work? Probably about as well as the roll-out of the Healthcare.gov website (see “How Smooth Will Industry Deployment of the ePedigree Laws Be? Take a Good Look At Healthcare.gov”). That sounds pretty negative and perhaps unhelpful. Sorry. Lately I’ve been thinking that the only way it will work is if the FDA simply sanctions the use of Electronic Data Interchange (EDI) Advance Shipment Notices (ASNs) for passing the Transaction Information and Transaction Statements, where the statements would be abbreviated inside of an X12 documentation record (watch for more about each of the transX statements in future essays). At least most large companies already have standards-based EDI solutions. It was well established that an ASN would not work as an ePedigree to meet the California pedigree law. There were two reasons for that. First, there was no way to sign the contents in a way that indicated that the creator was certifying the truth and accuracy of the contents as required by California law. Second, there was no standard way to collect ASNs from incoming shipments and then package them together for outgoing shipments. These problems stem from the fact that the X12 EDI ASN standard was just not designed to meet these requirements. The DQSA does not appear to require any kind of signature so the first problem apparently goes away, but the second problem would still remain. Is that enough to prevent the use of EDI documents to convey transX data in 2015? Probably. So what is the alternative? GS1 US is likely to think that everyone should invest in solutions based on their Electronic Product Code Information Services (EPCIS) interface standard, but the EPCIS-based solutions on the market today are all based on the current standard, which only works with serialized items and shipping containers. That will be fine when manufacturers serialize all of their units and cases but that won’t happen until late 2017. Coincidentally, GS1 is just putting the finishing touches on a new major revision to the EPCIS standard which will enable its use for lot-based tracing in addition to serial number-based tracing. Its development was needed by the fish industry after the E.U. mandated that all fish be traceable back to the original catch based on lot numbers, not unit-level serial numbers. GS1 took the opportunity to define the requirements generally so that the modified standard could also be used to document the supply chain history of any real or virtual lot-based “objects”, not just fish, and so, once the modified standard is published sometime next year these changes may be just what the U.S. pharma supply chain needs. But can we expect every company in the U.S. pharma supply chain to acquire and integrate a new application based on the future new version of EPCIS by the end of next year? Absolutely not. The only interpretation of the new law that matters is the one the FDA will make over the next 12 months, but the way I see it a large part of the industry will have to start out with paper-based transX documents. These will be little more than the packing lists that accompany almost all shipments today. They will be embellished with a statement about compliance with the DQSA, which should fill the transaction statement requirement. Downstream trading partners will have to make paper copies or scanned images of the incoming packing lists so they can send out the necessary transaction histories with the shipments. However, it’s not as bad as it sounds. Wholesale distributors who buy directly from the manufacturer will not have to send out these incoming packing lists, as I will explain in a future essay. On the other hand, no company is going to want to have to store all incoming and outgoing transX paper documents for six years in such a way that they can be retrieved accurately and efficiently within 48 hours, so moving to electronic, lot-based transX documents will quickly become a top priority in the industry. At some point, each manufacturer will deploy serialization applications that will be based on the GS1 EPCIS standard as part of their serialization programs in preparation for the big November 2017 deadline, and so perhaps it will eventually make sense to deploy an application that is based on the new lot-capable version of EPCIS to handle these pre-serialization transX documents too—just not by January 1, 2015. These are my predictions. What are yours? Previous PostU.S. Senate Passes H.R. 3204 With A Voice VoteNext PostDQSA: Will U.S. Pharma Distributors Mandate Aggregation Data In Phase 1? Just a side note from a business perspective. Several research articles have shown an efficiency gain of 30% in warehouses that receive against the ASN as apposed to not. From that standpoint alone it makes sense to move to an electronic process. I attended the recent HDMA Track and Trace conference in Arlington last week and if I recall correctly one of the sessions was a Q&A with the Big 3 (Amerisource/Bergen, McKesson and Cardinal) and all required electronic transactions only and won’t accept paper documents. Any other attendees can confirm this as well? Excellent point. I was there too and I originally had several paragraphs about that exact point in my draft essay but at the last minute I decided to remove them and make it the subject of my next full essay. Watch for it, probably on Monday. Thanks for pointing it out! We’re hearing some additional “subtle” responses. If understood correctly? There is language in the bill that requires a response within 24 hours of an “event” stating either where the product in question is located? Or how can it be remedied or even recalled. Not sure of the exact details? But it seems there will be insistence by at least two of the Big 3 that there be “inference” of all units to the case label. As stated before, they don’t want to have to open cases and scan individual units. Multiple layered cases are even more dramatic. This was confirmed by one of these Big 3 in attendance at the recent GTT Roundtable. The point seems to coming to the surface that although aggregation is not stated in the bill, it is inferred. Having already invested for California requirements, I would say EPCIS should be the future standard when sending serialized information. In the meantime DPMS pedigree model should be continued to be used.